Milwaukie has become the first city in Clackamas County to ban the use of plastic bags in grocery-store checkout aisles. After an Aug. 21 unanimous vote by Milwaukie City Council, retail establishments and food providers with a store footprint larger than 10,000 square feet will have to phase out the use of plastic bags and polystyrene food containers by March 1, 2019. After that date, businesses must provide only recycled paper bags or reusable bags as checkout bags for customers. If a retailer is found to be in violation of the ordinance, a warning will be issued. Subsequent violations within a 12-month period would be subject to $100, $200 and $500 fines, respectively. Most of the affected large businesses are located at the Milwaukie Marketplace shopping center on Oak Street: Walgreens, Rite-Aid , Dollar Tree, Jo-Ann Fabrics and the Salvation Army. Bob's Red Mill, Safeway and the Mill End Store are the other three Milwaukie retailers with stores over 10,000 square feet. City Manager Ann Ober said city officials met with executives from the affected businesses, and none of them came to testify against the proposed ordinance. City Council adopted the ordinance as part of the city's overall waste reduction and recycling goals, as well as the city's Climate Action Plan currently under development. "We went through a couple of minor changes that needed to occur, namely the definition for polystyrene," Ober said. "Otherwise this has been a great partnership with our community and with Councilor Abma, who has helped us with some of the drafting, because of his history, and with some of the broader sustainability regional partners." The Milwaukie Station Food Cart Pod and Milwaukie Farmers Market — as businesses located on city-owned property — also will be affected by the ban. One area of particular concern for Milwaukie officials during their outreach efforts were food-cart pods operated by low-income minority entrepreneurs starting their business ventures in the city. The pod's manager estimated that a cart using 10 bags per day would see its monthly costs for bags increase from $6.25 to $69 per month in order to switch to paper. In recognition of this impact, city staff are reviewing options and pricing to potentially provide food carts with branded reusable bags to ease the transition. Plastic bags that are provided at times other than checkout are allowed, which includes bags for meat, produce, bulk items and prescription drugs. Plastic bags that are at least 4 millimeters thick would be considered reusable and may be provided at the retailer's discretion. Milwaukie resident Greg Hemer discouraged city officials from stopping with the current ordinance and urged them to look for ways to reduce the use of plastic straws and cups. "I would like to applaud your recent efforts in reducing our toxic waste from our local environment," Hemer told city councilors. "Once you're done patting yourselves on your back about this ordinance, start asking city staff to create new ordinances to protect our habitat and environment." In Oregon, Milwaukie's ban on single-use plastic carryout bags is similar to Portland's ban in 2011, Corvallis's 2012 ban, Eugene's ban in 2013, and McMinville and Manzanita in 2017. Meanwhile the cities of Wood Village, Fairview and Troutdale are a step closer to banning plastic grocery bags. Fairview Mayor Ted Tosterud, who has called for a ban on single-use plastic grocery bags, organized a meeting with representatives from each of the neighboring cities on Aug. 16 to discuss a three-city ban. While no vote was taken, the majority opinion was clear that a ban should move forward. Tosterud is aiming to pass a plastic bag ban by Thanksgiving. He noted the timeframe is a bit aggressive for government organizations — especially if it's a joint effort between three cities, but added that it's time to act. 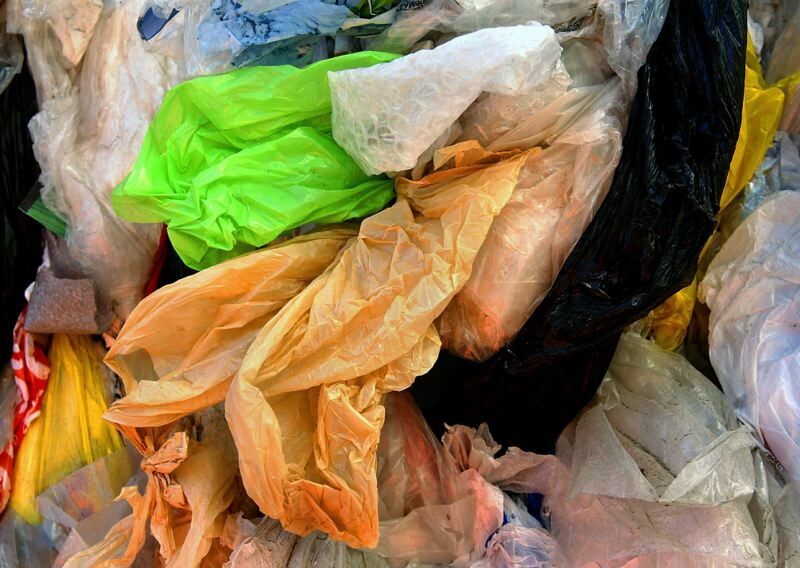 Nathan Clark, Multmonah County policy adviser, explained how a plastic-bag ban would work. Clark explained that plastic-bag waste could have potential health risks, as scientists found microparticles of plastic in fish, and human consumption of the plastic microparticles could be carcinogenic. Metro Councilor Shirley Craddick attended the Aug. 16 meeting, and said the Metro regional government is exploring the idea of banning plastic grocery bags in the Portland metropolitan area. Pamplin Media Group reporter Matt Debow contributed to this news article.